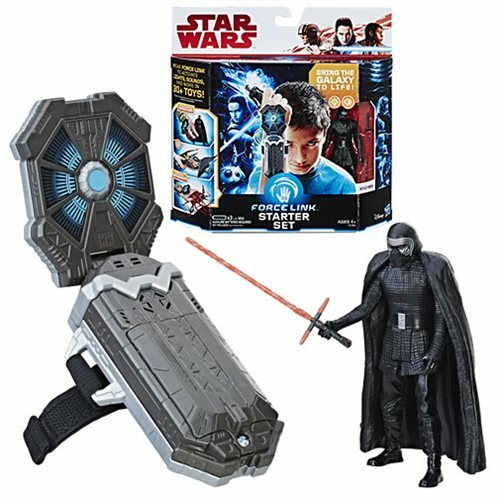 Hasbro has a small line of Solo product, and we haven't seen it all yet. 3 3/4-inch action figures will be joined by some returning favorites, while others were rescued by an online etailer. 2-packs include Muddy Han and Chewbacca, plus Lando and "guard." Force Link 2.0 syncs with your phone to download more phrases. It's backward compatible with 1.0, and theoretically could expand for a while now. Wampa is still coming. A non-exclusive Mimban Stormtrooper is coming. Maz is coming. 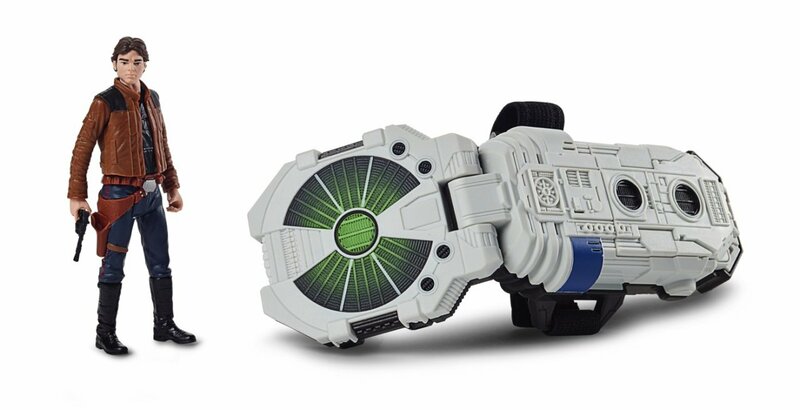 If you picked up a Force Link bracelet in the Starter Set, BB-8 Playset, or Toys R Us you might have been trying to give it a shot by placing the reader up against the blue symbol on your figures' feet. The chip for the sounds is not located in the figures' feet, but rather in their torso. If you consult the instruction sheet, you'll notice that it shows the illustration of a hand gripping the figure by the body - which is how you're going to get your best results. Similarly, the chips in the vehicles and creatures are not necessarily where the blue Force Link symbol may indicate and you'll want to try a few things to get them in just the right position. Sometimes it's logical, and in some cases - like the Resistance Ski Speeder - it's placed perfectly with the vehicle's natural handle.